(Jan. 12, 2018) — An article published on Thursday by The Daily Caller misreports that former Maricopa County Sheriff Joseph M. Arpaio accused Barack Hussein Obama of creating a forgery of his own long-form birth certificate. Arpaio has never made such a claim. After Arpaio announced on Tuesday that he would seek the U.S. Senate seat currently occupied by the retiring Jeff Flake, mainstream media outlets requested interviews of the former six-term sheriff of the fourth-largest county in the United States. 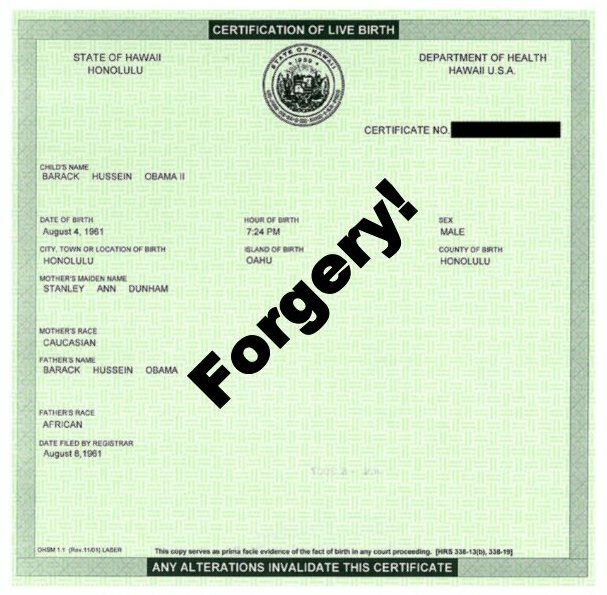 On April 27, 2011, the Obama White House posted what it said was a scan of a certified copy of Obama’s “long-form” birth certificate allegedly obtained from the Hawaii Department of Health (HDOH). The image was uploaded after then-businessman and reality-television star Donald Trump pressured the White House for approximately three months to release proof that Obama was born in the United States and, therefore, presumably eligible to serve as President of the United States. Beginning in January of that year, Trump had made a number of high-profile media appearances during which he expressed doubts that Obama was American-born or speculated that something significant in Obama’s background had been withheld from the American people. 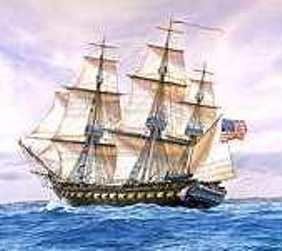 Although released to much fanfare and covered by an adoring press on that Wednesday morning in late April 2011, several graphics experts declared the image a poorly-assembled forgery within hours or days of its appearance. 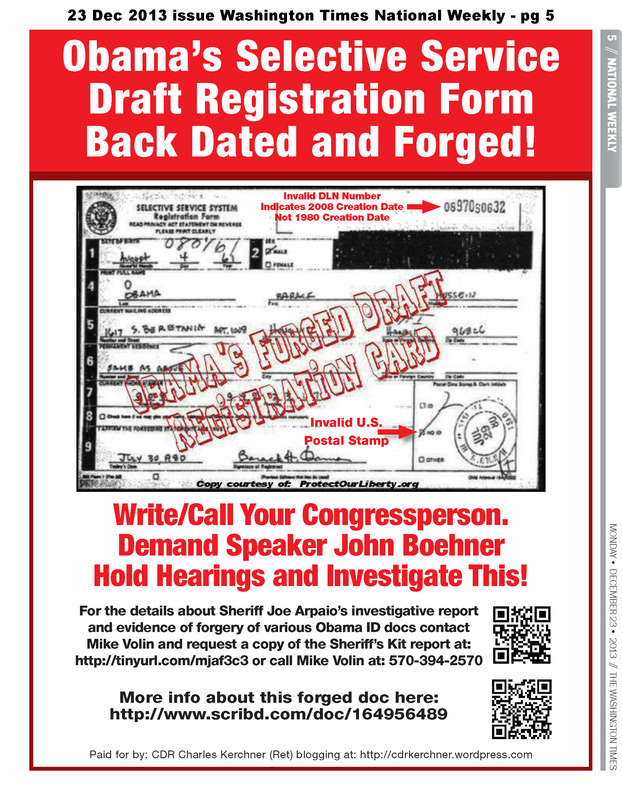 In August 2011, 242 constituents of Arpaio’s approached him with a petition requesting that he launch an investigation into the authenticity of the image so as to ensure that their votes in the upcoming 2012 presidential election would not be disenfranchised. Arpaio agreed, delegating the task to his “Cold Case Posse,” led by former New Jersey detective Mike Zullo. Arpaio had fully expected to quickly “clear the president” once a preliminary analysis of the image was completed, but within several days, Zullo was forced to inform Arpaio that the image was highly problematic. (Jan. 1, 2018) — An article in The Washington Examiner dated December 24, 2017 reported that Rep. Charles Dent (R-PA15), who is not seeking re-election next fall, attributes his decision in part to the election of President Donald Trump. In a tweet dated December 18, 2017, former White House national security adviser Sebastian Gorka called Dent a “RINO,” known to stand for “Republican In Name Only,” after Dent opined that Sen. Al Franken (D-MN) should have received “a bit more due process” in the wake of numerous allegations of sexual harassment by women who worked with him prior to his entry into politics in 2008. At the same time, “This Week” interviewed Arizona Sen. Jeff Flake, who, like Dent, is not seeking re-election and opposes Trump’s style and agenda vociferously. Others disagree, claiming that a presidential candidate’s parents must possess U.S. citizenship at the time of his birth and that the birth have taken place on U.S. soil. When Trump made appearances on “The View” and “The O’Reilly Factor,” among other shows, calling for the White House to release Obama’s original birth record, he was met with ridicule and ordained by the press as the “leader” of “the birthers,” a term assigned by the media to individuals questioning Obama’s birth and life narrative as a result of previous credible reports citing his birthplace as Kenya or Indonesia, not Hawaii, as Obama claims. After mounting pressure from Trump and perhaps inadvertently by Obama’s longtime friend, Hawaii Gov. 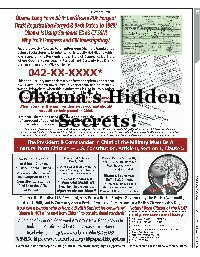 Neil Abercrombie, on April 27, 2011, the White House released what it said was a scan of a certified copy of Obama’s long-form birth certificate allegedly released by the Hawaii Department of Health (HDOH). In addition to inconsistent reports of Obama’s birthplace dating back to at least 2004, his claimed father, Barack Hussein Obama of Kenya, was never a U.S. citizen. Just prior to the 2008 presidential election, Atty. Leo Donofrio petitioned the U.S. Supreme Court for a Writ of Certiorari alleging that Obama was ineligible for the presidency based on that factor alone. 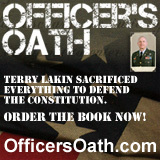 Author cfkerchnerPosted on April 25, 2017 April 29, 2017 Categories Articles/Reports-CFKTags 25 April 2011, Blast from the Past, CDR Charles Kerchner (Ret), Felony crimes have been committed by Obama, kerchner v obama, ProtectOurLiberty.org, Washington Times, Whose SSN is Obama Using?